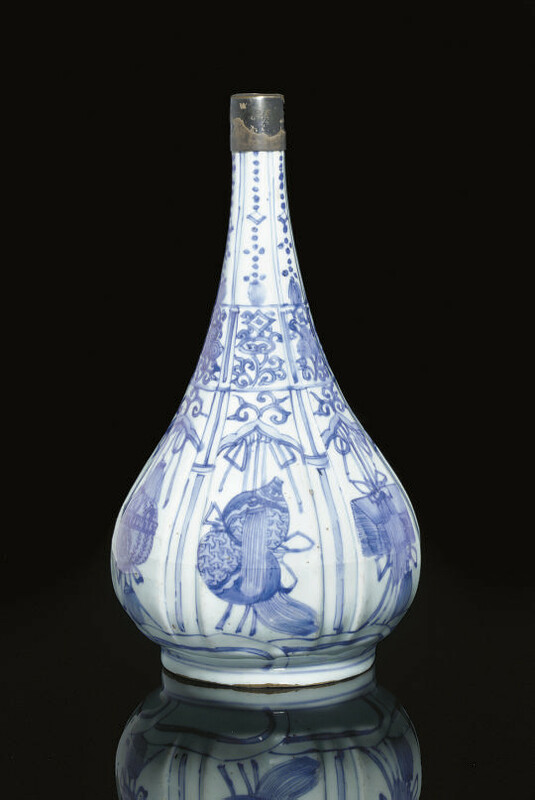 of pear form with slender neck, moulded to the body with panels depicting six scholars objects, below a band of lingzhi sprays and tasselled beaded pendants, with early metal collar -- 11¼in. (28.5cm.) high.